I've been tasting a number of Argentinian wines lately, so I'll have a number of posts on these wines over the next few weeks. To start, I wanted to comment on two wines from Ricardo Santos of Mendoza. Santos is the former president of Norton Winery and was the first Argentinian producer to export Malbec into the United States some thirty years ago. Today he produces a small amount of Malbec under his own label along with Semillon. I'll start with the Semillon. When most people think of white wine from Argentina, Torrontes is the variety that comes to mind. 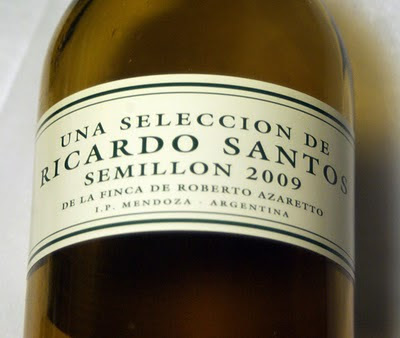 For Santos, his choice for a crisp, dry white is Semillon. The recently released 2009 is excellent and to me an ideal wine for summertime seafood or light grilled foods, such as chicken or pork. Medium-bodied, it has fresh aromas of fig, lemon rind and quince. Medium-full, it's quite rich with beautiful acidity and a long, flavorful finish. In a word, it's delicious! Best yet, at $15 retail, this is one of the best white values you will find this summer - highly recommended! His 2008 Malbec is priced at $19 and it's a serious example of this variety. Ripe with blackberry and red cherry fruit along with a touch of mocha and light black spice, it's a perfect wine for spare ribs in the grill or just about any red meat, especially sirloin. With beautiful complexity and a light tanginess, this is a step or two above the simple, fruity, $10-12 Malbecs you find everywhere these days. It's also highly recommended. Imported by Global Vineyard Wine Imports - available in most markets across the United States. These days, given the popularity of blogs, winery websites just don't seem to have the same influence they did just a few years ago. They're still needed and they offer excellent information, but websites have definitely taken a back seat to other forms of communication in the wine world. Well that may soon change, especially if a few producers adopt the model of Feudi di San Gregorio in Italy. This Campanian producer recently unveiled its new website and it is dazzling! Packed with tremendous detail about not only their wines, but also their territory as well as their one-star Michelin restaurant, Marennà (located at the winery), this is a website that will please the wine and food lover! Now the old site was excellent and had much of the same information on the wines, but there's just a lot more on the new one. For example, click on Greco (under "vini" or "wines") and you are referred to five different pages, each representing a wine (or in one case, a grappa), where Greco is used to produce that particular wine. There are six pages for Fiano and Falanghina and a total of 11 different pages under the Aglianico heading! When you go to those individual pages, you will see a page listing technical data as well as recommended food pairings and you can also download each wine's label (the average size is about 750 KB and the resolution is excellent). As previously mentioned, there is also a great deal of information on the winery's stellar restaurant, Marennà, located a few floors above the cellar. There is a beautiful streaming video that's imbedded on the page; it should definitely make your mouth water in anticipation! There are also two separate menus to download (Risotto cozze e nocciole, anyone?) as well as the wine list. That's very helpful and quite an advertisement for the restaurant. If that wasn't enough, there are also 10 recipes of Chef Paolo Barrale tha are avalable for downloading. It's a nice mix, from risotto and pasta to lamb, beef and dolce. The recipes are in both Italian and English, by the way, as is the entire site. What really puts this website into a special category is the way it works with modern communications. This one doesn't just refer to facebook, it has its facebook site imbedded on the homepage. That's a great way to get people talking about the wines and shouldn't that be what a winery website is all about? Congratulations to Feudi di San Gregorio for taking the lead and providing such a superb website. Let's hope that other wineries around the world take note. Recently, Antonio Galloni, the Italian wine writer for The Wine Advocate penned a short piece on some of his recent experiences with the wine service at a few restaurants in Piemonte. 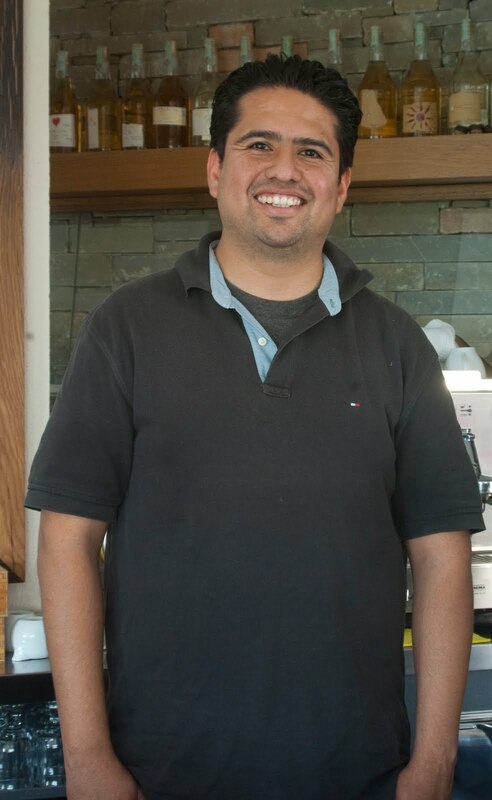 (He also was highly critical of two restaurants in particular. Why someone who is not a food critic would do so seems a bit odd to me, but apparently not to him). Anyway, his main point was that wine service in many of Piemonte's top restaurants was not what he thought it should be. He wrote that wine service in these restaurants was "appalling". He certainly is entitled to his opinion and so am I. He focused on "top restaurants" in Piemonte and perhaps he is correct. As he undoubtedly makes a lot more money that the average wine writer (especially those of us who are freelancers), he certainly has the means to eat at more expensive restaurants that my colleagues or I do. So maybe he should dine at a few more modest trattorie and osterie in Piemonte, because I've never had a bad wine experience at any of these places. Not only are the wines well stored, they are served in very fine stemware. Most importantly, they are priced extremely well. Most wines purchased at some of the finest restaurants in the Barolo and Barbaresco zones cost the same price or even less than they would on a retail shelf in the United States. You can purchase 10 year-old Barolos for 50 and 60 Euro. How much would they cost in New York, Chicago or San Francisco (assuming you could even find them)? So I'd like wine lovers out there to know that wine service at most restaurants in Piemonte is quite good, often excellent. If Galloni found some flaws, so be it and he has spoken his peace. But again he concentrated on more expensive restaurants and certainly for the money they charge, they should offer excellent service. It is a shame that he had some bad experiences, but believe me - as well as several of my colleagues from Italy and the United States - you will enjoy many excellent wines at very reasonable prices in the town of Alba and all throughout the Barolo and Barbaresco areas. This is just a small sampling - there are dozens more. I certainly look forward to trying more new dining experiences in Piemonte - for both the food and the wine! I have just returned from one of my most fruitful and enjoyable trips to Italy, visiting the regions of Puglia and Campania. I will be writing posts about my time there, from judging wines made from indigenous varieties in Pugila (as well as a small group of wines from Basilicata) to visting vineyards in Irpinia and enjoying some of Campania's finest cuisine. 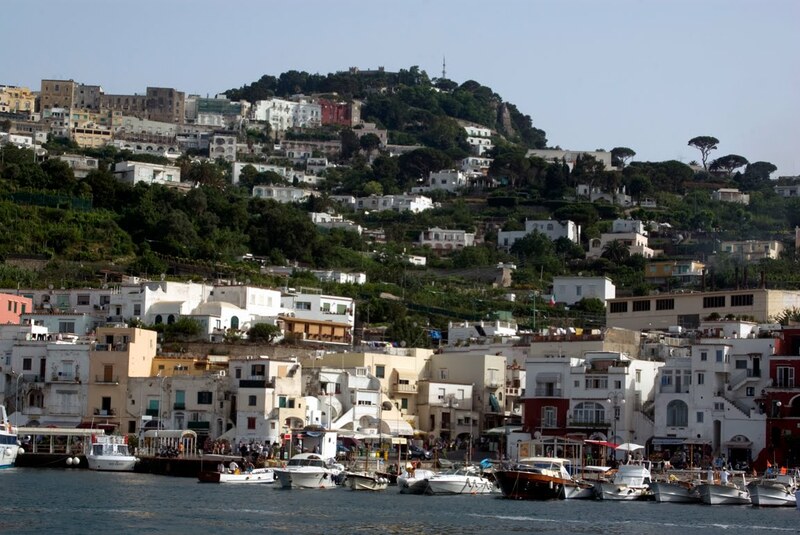 For this first post back, I'd like to share my adventures in Capri. Everyone and his brother knows about the beauty of this island and as I was told by more than one Italian during my trip, "once you have visited Capri, you can die." In other words, life is complete! I'm not entirely sure about that, but I do share the passion. It is a beautiful island, but it's also a touristy one. Get off the boat and you're immediately immersed in stores selling everything from gelato to perfume to t-shirts. It's the old adage- from the sublime to the ridiculous. I was with my friend Raffaele Pagano of Joaquin Winery and several of his friends and our goal was not to sightsee or shop, but rather to visit the small vineyard where he purchases Greco and Falanghina grapes for one of his white wines named "dell Isola". 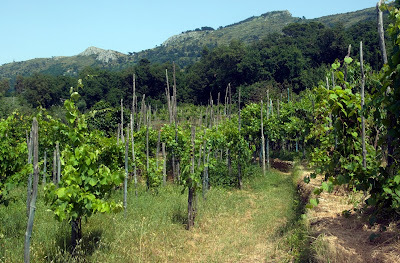 There are several other varieties in this vineyard as well, including Biancolella and Ginestra, as this was planted in the traditional style with numerous varieties in a field blend. It's amazing after getting out of the tourist trap of Capri and Anacapri (another town up the hill) to see this estate. The vines are irregularly planted, with much of it in pergola, an overhead trellis to protect the grapes from the ever present sun. Some vines are so high, that a ladder is needed to pick the berries when they are ripe. The soils are primarily sandy and are relatively fertile. We met Raffaele Maresca, a hearty 83 years old and working as hard as ever. He talked to us about his work and while I didn't understand everything (some of it in dialect), I could sense his passion. 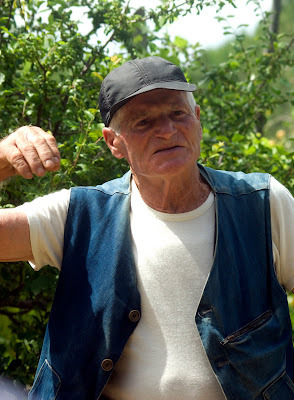 After he finished, each of us shook his hand, which at his age, after 60 some years in the vineyard, was as hard as steel. It's a memory I'll always have of vineyard work in Italy. This is a difficult and painstaking job! It will be impossible to find the finished wine outside of Campania, so while you may never taste it (I sampled the 2009 out of a tank at the winery), it's worthwhile to know that even in a remote island best known for its tourist attractions, the centuries-old work of tending the vine still goes on in Italy. 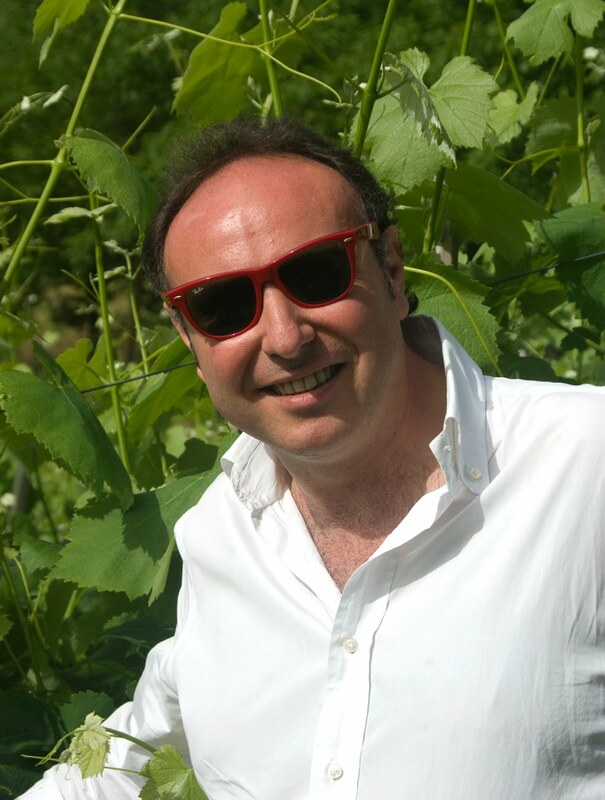 Alfonso Cevola has been doing a superb job keeping track of all the DOCG wines in Italy. 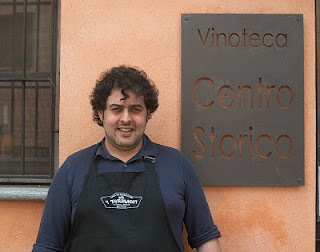 His most recently updated post (read here) has a total of 50 DOCG wines, which includes the most recent Dolcetto di Diano d'Alba in Piemonte and Aglianico del Vulture in Basilicata among others. 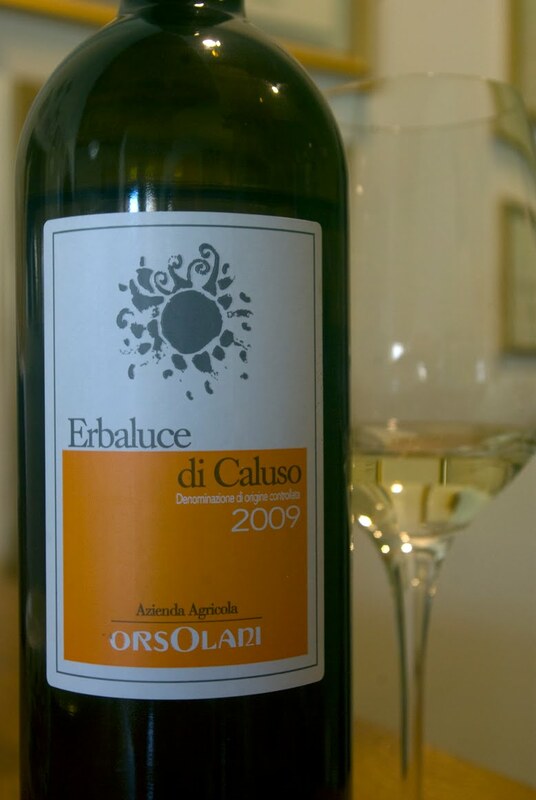 Erbaluce di Caluso, a wonderful white from the province of Torino in Piemonte will become DOCG as of the 2010 vintage. This was confirmed to me by Gian Luigi Orsolani, during my recent visit to his winery. Orsolani is one of the leading producers of this wine. Dolcetto di Dogliani DOCG will now be referred to as Dogliani Classico. Libero Rillo of Fontanvecchia in Campania, confirmed to me that Aglianico del Taburno in the province of Benevento, confirmed that the paperwork for DOCG has been filed and approved. Final details are being worked out regarding the starting date for Aglianico del Taburno DOCG. And finally, there will be a new Alba Rosso DOC. The grape varieties will be 75%-80% Nebbiolo with 20-25% Barbera. Off today to Puglia and Campania for nine days, so posts will continue upon my return.